We’ve been busy here at Design39Media, and today, we are proud to debut yet another new website we have just launched. At Design39Media, we find it greatly exciting and rewarding to work with so many clients, in all types, shapes & sizes of business. From retail, to professional, agricultural to industrial and anywhere in between, our job never gets stale. That being said, it’s website launch day at Design39Media. 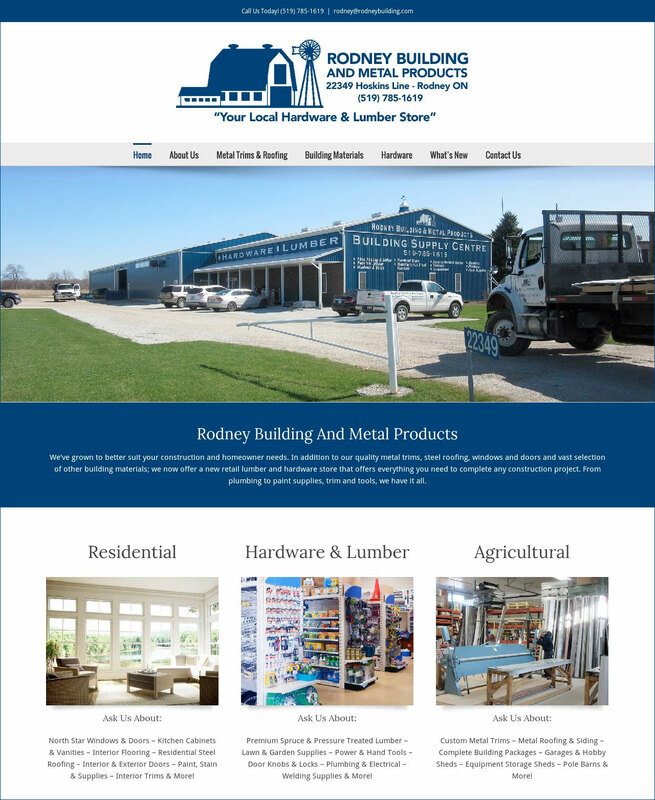 We are proud to introduce to you our newest design, for Rodney Building and Metal Products. Everything you need for home renovation and building. A pleasure working with them.